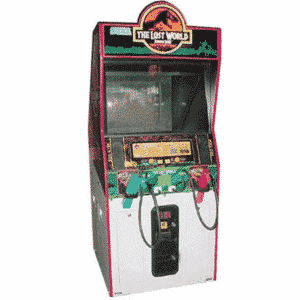 This is your opportunity to own or hire a rare retro Galaxian arcade machine! 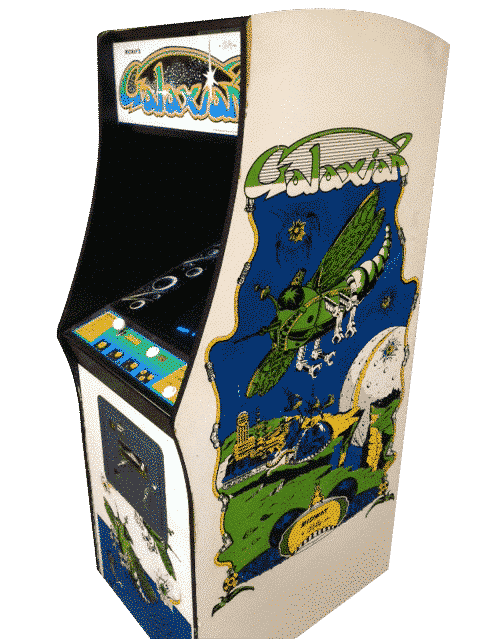 Galaxian expands on the simple yet addictive gameplay pioneered by gaming classic Space Invaders. Like that earlier game, Galaxian features a hostile alien army that exchanges shots with the player’s rocket ship. 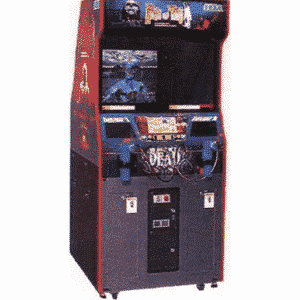 However, in contrast to Space Invaders, Galaxian’s alien adversaries don’t always remain in their tightly packed formation – some enemies will break away, both solo and in groups, to make a kimikaze-style attack on the player’s rocket, forcing the player to either shoot or dodge the oncoming onslaught. The gameplay is fiendishly addictive with the aim to dodge and successfully hit the alien foes for as long as possible without the rocket ship blowing up to attain a high score to beat your friends, or more importantly, make the leaderboard. By assigning each colour of alien with a number of points, the more aggressive aliens being higher value, players can decide on the best strategy to suit their playing style to rack up the points. With the player’s rocket ship only able to move left or right, the player must be careful to successfully evade the oncoming dive-bombing aiiens who often change direction at the last second. 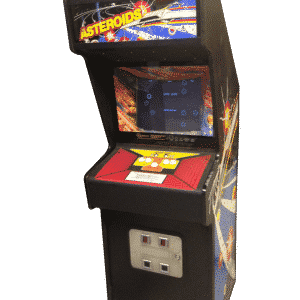 Simple to play yet challenging to master, Galaxian remains one of the arcade classics. 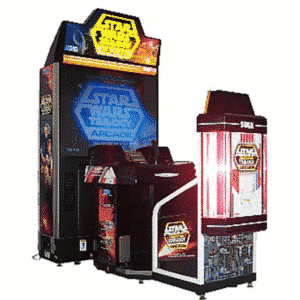 Own or hire our Galaxian Arcade Machine today.